Founder John Schnatter is out, but real employees are in. Papa John's if officially saying goodbye to its famous founder — at least in its commercials. John Schattner, aka the "Papa John," who earlier this year resigned as chairman after using a racist language during a company conference call, will no longer be appearing in ads or commercials promoting the chain's pizza. Instead of replacing one famous spokesperson for another, Papa John's is bringing on several new faces to promote pies, in the form of company employees and franchise owners in a new ad campaign titled "Voices." In one commercial, a franchisee states, "You've heard one voice of Papa John's for a long time." And then another employee continues, "It's time you heard from all of us," making it clear that the chain is ready to shift the focus away from the founder. A spokesperson for Papa John's confirmed to TODAY Food by email that Schattner will no longer be appearing in the company's marketing and advertising. "Late last year, the company realized that founder-led messaging wasn’t resonating and that’s when the idea for this new campaign came about," the spokesperson reiterated. The new campaign features 24 people who own and help operate Papa John's restaurants around the country and each of them volunteered to participate in the new ads. 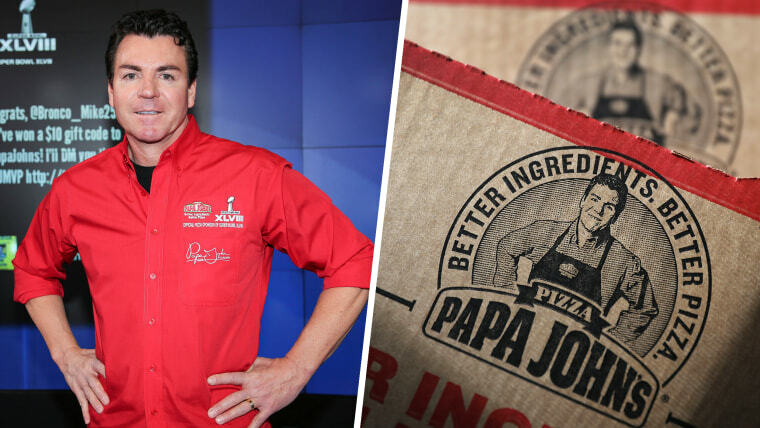 "Moving forward, you will see more from the people who make up the Papa John’s family in everything the brand does — starting with these commercials and other activations on Papa John’s website, social channels and in local communities," said the spokesperson. A microsite featuring the first ad also shares unique stories from several employees, like a Detroit manager who lost both parents in six months to a different franchisee who was able to recover financially after the 1980s recession thanks to his Papa John's pizza business. On the website, the company also states, "Diversity and inclusion must, and will, be at the core of everything we do" and say they will continue to "do better." The site features a letter from the company's current CEO, Steve Ritchie, listing the exact steps the company has taken to prioritize diversity, inclusion and equity, including having employees undergo bias training, adding a special advisory group and more.